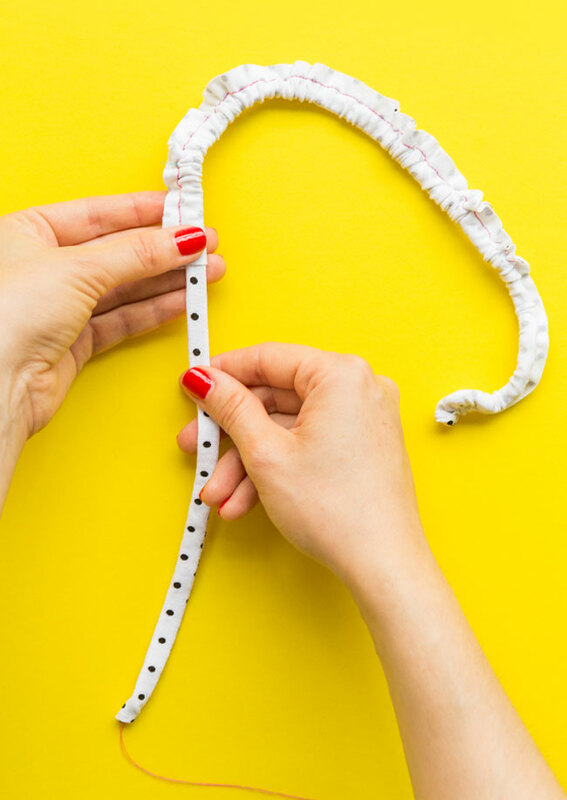 Ever sewn a drawstring, button loop, waist tie, narrow strap, or other teeny tube before wondering how on Earth you're going to turn it right sides out? I've shared in a previous post how to turn out narrow tubes or loops using a bodkin or a dedicated loop turner. 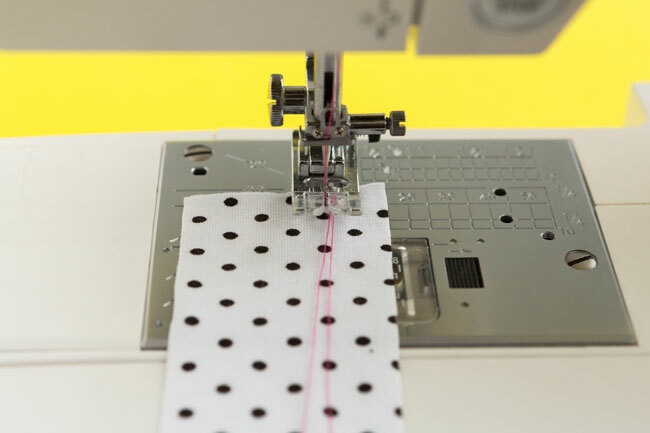 Here's another way of doing it, using just the thread on your sewing machine. You can use this method to make the drawstrings on the Maternity Agnes top and the waist tie on the Maternity Bettine dress. 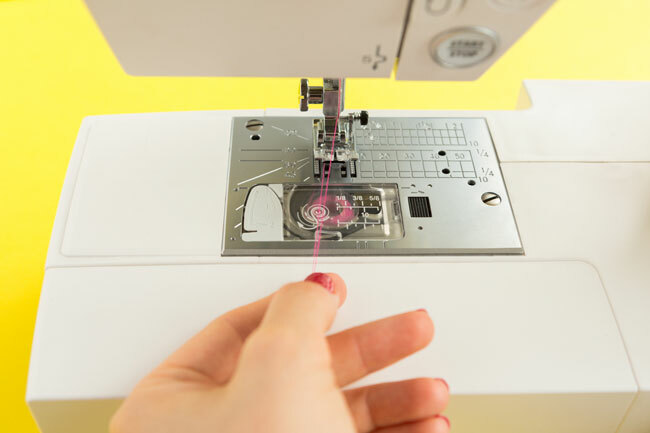 Start by pulling out the bobbin and spool threads on your sewing machine, so you have about 5cm (2in) or so more than the length of the strip you're sewing together. 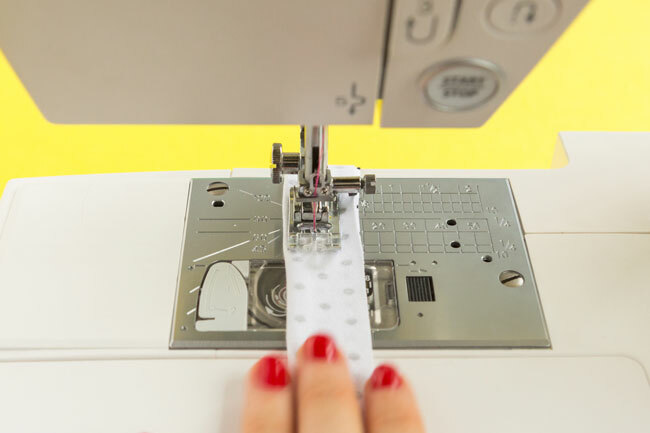 Place the fabric strip right side up on your sewing machine - still flat at this point, not folded - positioning the needle close to one short edge and the long right-hand edge lined up with the 15mm (5/8in) seam allowance guide. Lower the needle to hold the fabric in place. Both threads should still be pulled out in front of your machine, on top of the fabric strip. Fold the fabric strip lengthways right sides together, lining up the long raw edges. The long threads should be sandwiched between the fabric layers. Lower your presser foot to hold everything in place. Now you can sew the long edges of your strip together, back tacking at each end. Take care to keep the long threads out of the way of the stitching - pull them over towards the fold. If your sewing machine decides to chew up the start of the fabric strip, start sewing a bit further in from the end. Trim the seam allowances. 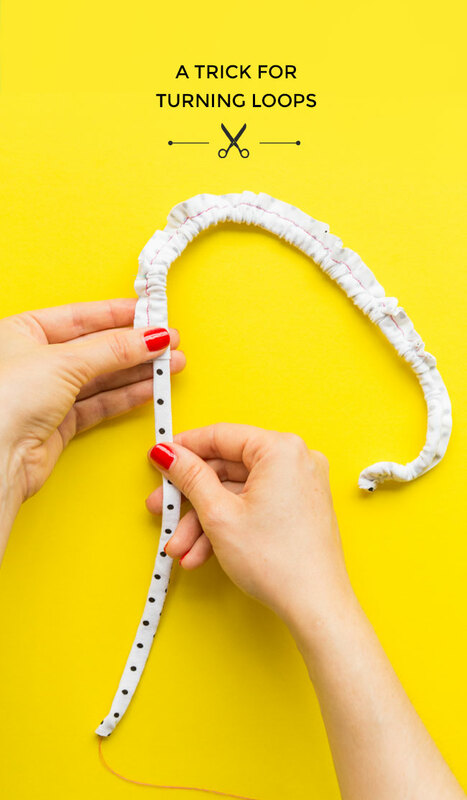 Now gently pull on the end of the long threads so the other end of the tube turns inside itself – you may need to give it a poke with a blunt knitting needle, chopstick or similar to help it along. Now continue to carefully pull the tube through to the right side, holding the fabric gently in one hand and pulling the threads with the other. And there you have it! 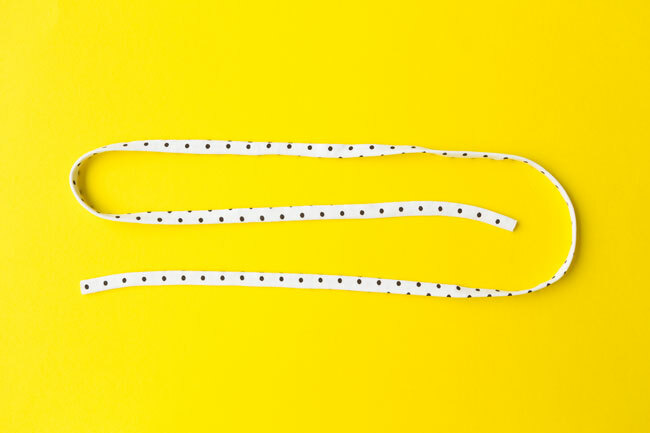 An easy trick for turning out a narrow strap, drawstring or button loop, using no additional equipment. PS. Like this post? 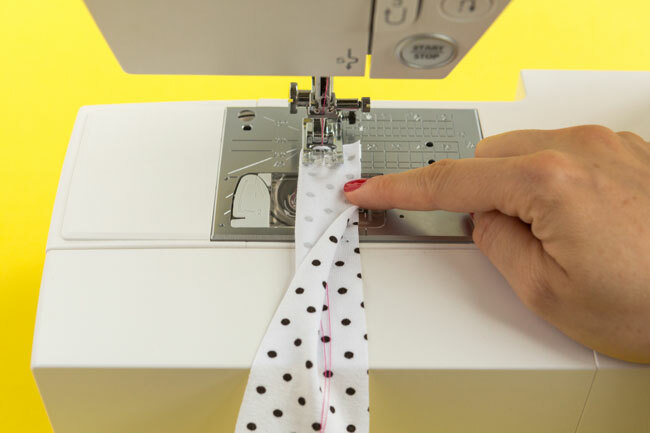 You may also like Stop your machine swallowing fine fabric and How to sew piping to a collar. Introducing Sewing Patterns for Mamas-to-Be!